"I want to be on the New York Times best-seller list. I know everyone is going to want my book. It's anointed." I hear stuff like this from new authors all the time. Strangely, those who have been in the game for a while don't say such statements. They've learned. Even the authors who have a track record with three or four books published (not just printed), don't expect to be the next New York Times celebrity. Everyone who is anyone wants their book on a national talk show, cover a magazine or CNN. I just smile when I hear the comment and pray, "LAWD, why me?" 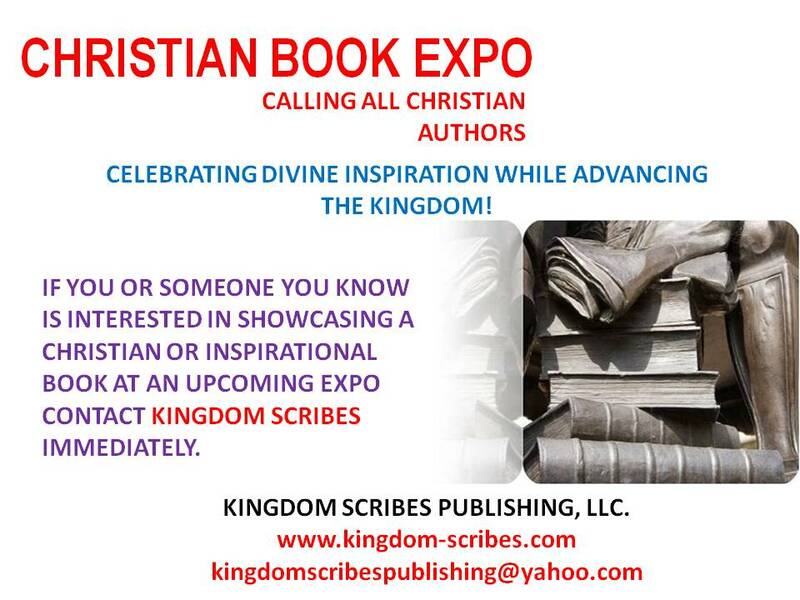 I specialize in the Christian market because I believe in the message of the Gospel, a message of HOPE. That's my mission - to market that message to as many people as possible. So I run across tons of Christian authors. I encourage many to write their books. I even mentor and coach some through the self-publishing process. I always tell aspiring authors to write what God tells them - not what's popular. This is where it gets sticky. Even though God may give you a word to write and the book is published, it doesn't necessarily mean that you're going to be the next TD Jakes or Joyce Meyer. The book may be anointed but it still has to be sold through the world system - which is business. I try to tell authors "do not despise small beginnings." Every business has cycles. Start up is phase 1 - and the most expensive. Books are business. People pay money for books and when money is exchanged, there are expectations. People buy what they are motivated to buy - not necessarily what is "best" for them but what they desire. Advertising, marketing, publicity create desire. THAT'S WHAT MAKES A BEST SELLER ==> A lot of sales! Now, if an author were to print books and give them away - that's another thing. No marketing is needed. But most want to make some sales and make a profit. And it seems like some new authors even dream of being "rich and famous" and having people hunt them down for an autograph. Even Christians want to be a celebrity - some even a SUPERSTAR! Sigh. But it take a well thought-out marketing plan, an accurate assessment of the target market, a good grasp of social media tools and a great deal of knowledge about how books are sold. You don't just learn that by being on your knees in prayer - thought a good book is birthed in prayer. The sales cycle is sustained and elevated by marketing skills, literary knowledge and promotion experience. To really make a mountain of books move - you have to be smart and sharp. 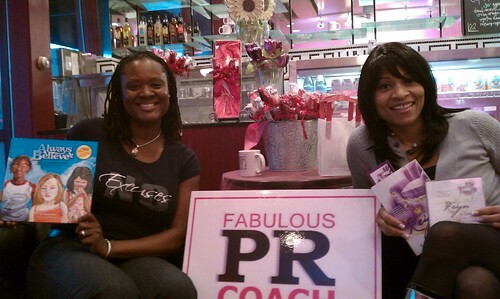 Getting information from a PR coach or literary PR professional or a writing conference is key. Ministry marketing pioneer, social media marketing expert and PR Coach Pam Perry helps African American Christian authors garner publicity and leverage online strategies. As a 20-year PR veteran, she is also the co-author of "Synergy Energy: How to Use the Power of Partnerships to Market Your Book, Grow Your Business and Brand Your Ministry." For a free MP3 of "What Every Author Should Know," go to http://www.PamPerryPR.com. She's also the creator of the ChocolatePagesNetwork, a social network for Christian authors and the Chocolate Pages Show on Blogtalkradio. She offers free help at her blogsite: http://www.MinistryMarketingSolutions.com with her monthly Ezine and teleclasses. So, what is a press release? about something that is newsworthy. It is one of the most commonly used tools to get your message to the media. Hosting an Event? Items to Include in the Promo Pieces before doing that "Eblast"
I highly recommend doing a "signature" event at least once a year to Brand yourself. I have friends that do this and have become "experts" and even "famous" doing these events. Hajj Flemings does the Brand Camp. Dr. Stacia Pierce (pictured left) does the Women's Success Conference. And Venus Mason Theus does the Anointed Pen Conference. It's good to create an event. It cements your target audience and positions you as a "thought leader." However it take years of diligence. And a commitment to be consistent. Success does not happen over night!!! Finally, spell check, proof read and edit the piece! Triple check everything!! Make sure names and numbers are correct. Tip: Call the number and check it. Because the person doing the planning is too close to the event to really remember share all the details. They assume everyone knows the name of the event or where they are located. And really, they are too busy planning and doing a million other things - they make errors. So, it's best to have a check list and hand it off to someone to double-check your materials. Are you willing to make some resolutions, say some affirmations, change your conversations, create new habits, make a few attitude adjustments and instill some disciplines to make 2012 your best year yet? It’s prime time to stir up your gift. Shake off the disappointments of the past. Restore your hope! It is not too late for you – no matter how old you are or what “mess” you have been through. You do not have to settle for the mediocre. 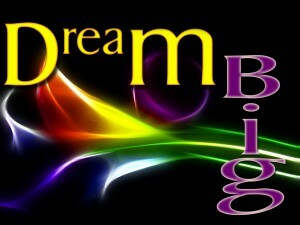 It is time to take your dreams off the shelf. God does not abort dreams. This is your year. Get a fresh vision. Dare to step in, step up and step out of your comfort zone to walk in your destiny. #1. Be Prayerful. This is where it all starts. What you have talked with God about and what He has downloaded to your spirit, are the blueprints to achieve all your dreams and goals. 2. Be Passionate. Get your fire back. So what that things didn’t work out as planned in the past. Keep pressing in – never give up. Winners never quit and quitters never win. Stay excited – this is your life and you are the architect. 3. Be Prepared. If you want to start a business, write a book, or change careers – do some research. Consult with those who have been where you want to go. Preparation is never lost time. Get prepared for an opportunity that hasn’t happened yet. 4. Be Peaceful. Get rid of all strife in your life. Prosperity never flourishes in confusion. De-junk, de-clutter to create a life of balance and order. Peace always produces creativity – and creative ideas can be turned into income. 5. Be Persistent. This is a must. Sheer, dogged persistence is what leads to success. No matter what happens – stay the course. Stay focused and be consistent with your brand, your plans and your beliefs. 6. Be Positive. This is the key to keeping hope in your heart. And hope is what makes our dreams take flight. 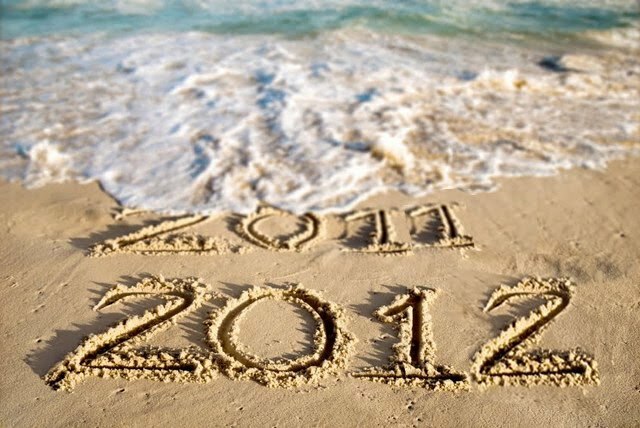 In order to excel in 2012, hope has to be rekindled and refueled every day. High hopes will help you persevere. 7. Be Prompt. You can’t expect to do more, be more or have more in life if you are always late. Time is money. Manage your time – and you will have more money. It’s a matter of respect. Keeping on top of your schedule and adding “air” to your calendar everyday – will attract more fun and favor to your life. 8. Be Playful. Yes, have fun! Give the “kid” in your permission to be silly. Enjoy your life and make “play” dates with friends on a regular basis. When you have fun, you are living a full life that God intended you to live. 9. Be Persuaded. Don’t back up or back down. Be fully persuaded, confident that everything that God promised you is going to come to pass. 10. Be Patient. Know that everything is in divine order. Patience is the virtue that is developed over time. And the more wisdom you gain in your life, the more patient you become. 11. Be Productive. You can wish and want to improve your life – but you have to WORK to produce the results you desire. Keep a prioritized “to do” list so that you are effective and efficient. Get stuff done. 12. Be Progressive. Read, read, read. Surround yourself with inspiration. 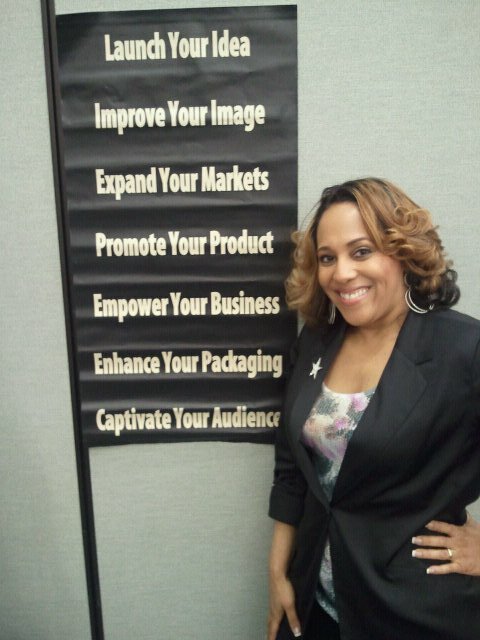 Put up a vision board, listen to motivational CDs and ignite your creativity by going to conferences or webinars. Staying on the cutting edge is winners do. 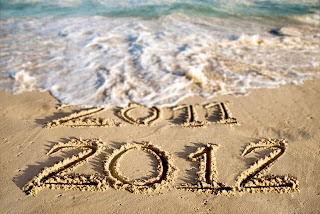 2012 is your year to do really well! Stand in your power. Dream big. Stay inspired. Nurture your spirit. Feed your soul. Keep your goals in front of you to get results and remember to keep things in perspective. Refuse to worry. And know as long as you are here, breathing, living and have GOD in your life – there is hope.